"Lisa Ritter is a knowledgeable, dedicated real estate professional. Lisa has experience in all aspects of buying and selling, including management and training of other realtors. Lisa is a straight shooter all the way. She means to keep each customer for life, and she does that by being honest with us about what we want, what we can afford, and what makes sense for our families. When searching for my present home, I wondered why buyers would need an agent, anyway, as there is so much information available on the internet these days. But that's one of the problems. Even before the internet, I made house-hunting miserable by refusing to limit my search in any way. Lisa helped me figure out what I wanted before I trucked all over town. She also suggested I view my present home again, even though I had already seen it and rejected it on MLS. This is the best home I have ever lived in and I wouldn't have found it without Lisa. Call Lisa if you're considering getting in the market. A fabulous buyer's agent like Lisa is the best bargain out there, providing you with immeasurable value and satisfaction." "I highly recommend Lisa Ritter to anyone who expects the best. In my many years of working with her I saw first hand her work ethic, her passion and her desire to make her customers thrilled with the service that she provides. In our current real estate market buyers and sellers need someone to represent them that are polished, professional and have the ability to negotiate to get the best deal. Lisa is all that and then some!" "We are very happy with Lisa Ritter as our agent when selling our home. During the home selling process, we had many questions and concerns, but Lisa was always very patient and professional with us. At a time when the market was down, Lisa worked very hard to get us a good price for our home in a timely manner. We also enjoyed having the ability to see feedback from our showings online." "I worked with Lisa Ritter on three separate occasions, both in buying and selling my homes. I find her to be very personable, as well as trustworthy and honest. Lisa does her homework and provides an accurate assessment of comparable homes in the area and does her best to make you satisfied. Lisa sold both of my homes in less than a week. I highly recommend her professional service to anybody in the home buying/selling market!" "My wife and I sold and bought a home through Lisa during the summer of 2008. Lisa does a fabulous job and I would recommend her to anyone. We had a great experience!" "Lisa Ritter of Deeb Realty in Omaha, NE. recently sold my home. In a saturated housing market and a down economy, I started with Lisa as a scared seller and I left satisfied and grateful. She is an astute real estate professional. She communicates clearly, honestly, and empathically with her customers to accomplish what is asked of her." 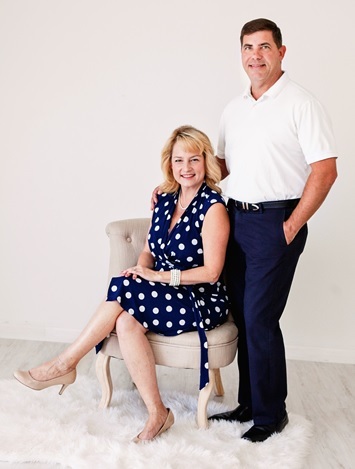 "My husband and I would like to thank you for your excellent work to sell our home. We interviewed many realtors and as soon as we met you we knew you were the best for us. Your confidence, honesty and drive to get the result we wanted was very reassuring. You were always there to answer the tough questions and to look out for our best interest. I will recommend you to anyone I know buying or selling a home. Thank you so much for making our first selling experience GREAT!!" "Lisa is wonderful to work with and she drives results. If you are looking to sell your home, you need to work with someone who has a concrete plan, and that person is Lisa Ritter." "Thanks again for your assistance in getting our house sold and helping us find our new house. I appreciate your expertise and customer service. Unfortunately for you, we love our new house and plan to never move again, but we will certainly recommend you to our friends." "Lisa is one of the hardest working persons I have met. I interviewed several realtors and she was my second choice. What a fool I was - Lisa is THE BEST!!! She made promises and held true on every one of them. I will recommend her to everyone buying or selling in the Omaha area."